The regular surface geometry and the shiny and often colorful appearance have made crystals from the mineral kingdom fascinating objects for everybody. Natural crystals have often been formed at relatively low temperatures by crystallization from solutions, sometimes in the course of hundreds and thousands of years. Nowadays, crystals are produced artificially to satisfy the needs of science, technology and jewelry. The ability to grow high quality crystals has become an essential criterium for the competitiveness of nations. Crystal growth specialists have been moved from the periphery to the center of the materials-based technology. An interdisciplinary crystal growth science has developed with scientific journals, conventions and societies. International networks of crystal growth laboratories and materials science centres have been formed. Crystal laboratories operate in large numbers to satisfy the needs of research and technology for high-quality, tailor-made crystals of all kinds. “New materials are the lifeblood of solid state research and device technology. Contrary to what many believe, new materials are not usually discovered by device engineers, solid state theorists, or research managers; they are mostly discovered by crystal chemists who are crystal growers. Some physical phenomena are only exhibited in single crystals and can only be studies and understood in single crystals. Thus the crystal grower – especially if he develops a proficiency in relating structure, bonding and other chemo-physical considerations to properties of interest – is in a key position in determining the direction and success of solid state research and – ultimately – technology” (Laudise). Which quality criteria can be applied to crystals? What are crystals good for? Crystals are solids in which the elementary building blocks, the atoms, are arranged regularly in a space lattice with specific geometrical symmetry elements. There is no ideal atomic lattice in nature, and it would be not very useful either. Fig. 1-1 presents common crystal lattice defects /Schilling/. Certain imperfections of the chemical and structural atomic arrangement are essential for the usefulness and value of crystals. Vacancies, for example, allow atoms to move through the lattice in the course of solid state reactions. Fig. 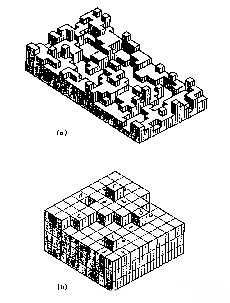 1-2 shows a schematic view of two extreme cases of the microstructure of the growth interface: atomically rough and atomically flat, in terms of a simple cube model of the atoms. Atomically rough interfaces are correlated with many metallic systems where as atomically flat interfaces usually occur in oxidic systems and are related to macroscopically flat, crystallographically well oriented surfaces or facets. Atomically rough interfaces provide ample sites for the attachment of atoms from the melt during growth which corresponds with relatively small driving forces or small supercoolings of the interface. Atomic attachments on flat or facetted interfaces are more difficult and require higher driving forces and larger supercoolings. Most solids consist of many single crystals of different orientations which stick together at “grain boundaries”. Binding forces are usually weaker at grain boundaries. Therefore, chemical reactions and evaporation processes proceed more easily at these boundaries which makes them visible to the naked eye. Usually, single crystals not only contain point defects but also extended defects, namely dislocations and dislocation networks. Grain boundaries and subgrain boundaries can easily be recognised by inspection of the crystal surface under varying directions of illumination. Many properties of crystals are influenced by dislocations and subgrain boundaries. These defects contribute to high temperature creep and other mechanical properties. They are usually surrounded by diffusion fields of point defects since they act as sources and sinks for point defects and as nucleations sites for precipitates of all kind. Therefore, subgrain-free and even dislocation-free crystals are essential for solid state research and for many technical applications of crystals. The most radical method to get rid of dislocations and dislocation networks ist their total elimination by melting and the subsequent growth of crystals without dislocations or with a very low density of dislocations. Although dislocations are thermodynamically not stable they cannot eliminated totally by crystal annealing alone. The growth of crystals with low dislocation density is a difficult task because dislocations can be easily multiplied by thermal stresses during the cooling-down process of nearly perfect crystals. The handling of nearly perfect ductile crystals at room temperature is equally difficult since dislocation multiplication of such crystals can be initiated even under their own weight and – especially – by mechanical or electric discharge machining. The mosaic structure in the bulk of thick crystals can be studied most easily by using highly penetrating monochromatic gamma rays from cheap neutron activated gold and iridium platelets. Fig. 1-2 shows an example. 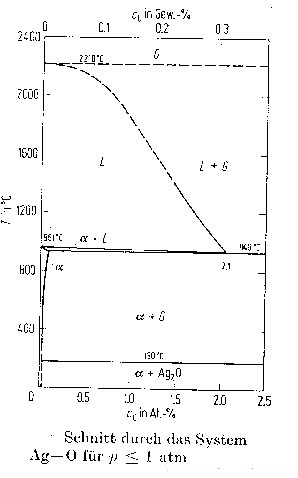 The initial parts of the CuAu crystal which has been analyzed in the example are characterized by a very narrow rocking curve diffraction peak which indicates the high “perfection” in this region with low dislocation density and absence of “mosaic blocks” or sub-grain boundaries. In the course of crystal growth the dislocation density has increased due to imperfect growth procedures until a network of subgrains has been formed. The perfect crystal regions with “Fujiama-type” rocking curves have been replaced by a whole range of “mountain peaks” and, finally, with a “hilly landscape” corresponding to a broad spectrum of subgrains with different orientations. In research and technology many artificial crystals are required with chemical compositions from all parts of the periodic system with high chemical and – in special cases – even isotopic purity. Roughly speaking, the artificial crystal kingdom can be divided into three sectors. Technical crystals belong to one of the two big sectors of the single crystal market. They are widely present, often in hidden form. We eat crystals (salt, sugar), we use crystals as clocks in watches and computers (quartz), for information processing and storage (silicon), for switching TV-sets (gallium arsenide), for telecommunication (gallium arsenide) and for transport (turbine blades from nickel-aluminium compounds). Huge salt crystals (CaF2) are used as UV-light lenses in the submicron structuring during electronic device fabrication. Jewelry forms the second big sector of the single crystal market. Verneuil-rubies have been the first artificial crystals which have been growth on an industrial scale to be used in making jewelry and as bearings in mechanical watches “Falckenberg”.Natural crystals are usually much more expensive than artificial crystals of the same kind. They often can be distinguished only by sophisticated characterization methods, not obvious for the naked eye. The excessively high costs of certain natural crystals has been an enormous incentive for clever crystal growers to adjust their growth procedures until artificial crystals cannot be distinguished from natural ones in every detail of their microstructure. The market of research crystals is relatively small but extremely diversified. Artificial research crystals of high quality are the basis of solid state research activities. Natural crystals are normally not sufficiently qualified for research purposes. Crystals are also required for modern light and particle scattering and diffraction instruments as monochromator and detectors. A broad range of geometrically well prepared crystals is required for thin film, catalysis and electrochemical studies. Serious work in solid state and materials science is only possible with the help of specialized and integrated crystal growth laboratories. On the basis of their professional knowledge about crystal growth and characterization the supply of research groups with research crystals can be optimized. Crystal growth laboratories and crystal companies are part of an international crystal growth community which has developed in the course of the last few decades into an extremely fruitful network. Many members of this network are on the brink of extermination for demographic reasons. This important basis of all solid state research activities requires nursing to prevent its deterioration. Finally, a few remarks may be appropriate on the more esoteric parts of crystal utilisation which seem to spread and become quite relevant, economically and spiritually. There are institutions which claim that crystals have magical properties, and more and more people seem to be inclined to believe that crystals have the power to cure sickness by pure contact and to protect against the evil. This confusement is supported by popular TV animated cartoon series in which crystals are used by good and eval characters for conjuring tricks. People of all centuries have believed in the powers which emerge from crystals. Hesiod and Ovid correlate the different aeons with metals of different value. In its famous science fiction story Time Machine H G Wells mentions a rock crystal as an essential part of the machine which is used to reach the year 802 701 in the future. The topic of crystal growth has gone a long way from alchemistic endeavors to industrial production and even international science policy which is illustrated by crystal growth in orbiting space stations and by megalomaniac plans for crystal growth institutions: NASA and ESA have detected crystal growth as an excuse for having built manned orbiting space stations (Space Lab) and think of crystal growth in “milligravity” as something meaningful. The state of Austria has been suggesting the founding of a big european crystal growth institute “EuroCryst” to improve the industrial and scientific potential of the European Union. Artificial crystals are usually grown by controlled phase transformations from a disordered “fluid” phase with high atomic mobility. If the raw materials are transformed into a fluid, a gas or a liquid, a virgin state is reached in which all memories of the past are extinguished and the atomic constituents can be mixed perfectly by thermal or enforced convection. The crystal growth process can be initiated by using a small seed crystal of the same material to define a proper crystallographic orientation and to avoid large supercooling of the fluid phase which could generate uncontrolled nucleation. The degrees of freedom which the growing crystal possess on a microscopic and macroscopic scale have to be reduced as much as possible by proper design of the growth system. In most cases, crystals are grown in a temperature gradient with superheated fluid and supercooled crystal to define the position and the geometry of the growth interface. Only a small region of fluid is supercooled close to the growth interface to provide the necessary atomic driving force for crystallization. Fig. 2-1 and Fig. 2-2 show the two most important growth procedures for bulk crystals: the Bridgman- and the Czochralski-system. The “Bridgman method” is based on the invention of Tammann in Göttingen early in the century. He used the “gradient-freeze method” as it is called now, in which crystals can be grown by directional solidification in the temperature gradient region of a furnace whose average temperature is decreased gradually. Bridgman has added mechanical movement of the crucible to this Tammann.method. Others, such as Stockbarger, have made important contributions to the Bridgman-method. The Bridgman-method is cheap and simple, although hampered by the problem of crucible interference with the crystallization process. In the Czochralski-method the crystal is pulled out of the melt by crystallization of the upper region of a melt meniscus. The growing crystal is visible and the growth process can be analyzed in-situ. The control mechanism which is required for proper shaping of the meniscus makes the method rather expensive. Suppression of random nucleation in supercooled crystal growth fluids by using a seed crystal with minimal supercooling of its growth interface which is not sufficient for nucleation elsewhere. 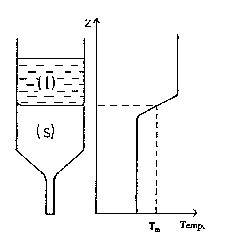 Shaping the growth interface by using a corresponding temperature field which superheats the fluid and supercools the crystal with a proper geometry of the growth interface isotherm. The temperature gradient has to optimized. It has to be large enough to prevent faceting at the interface and constitutional supercooling of the fluid close to the interface. At small temperature gradients the growth rate is limited by the conditions for constitutional supercooling. Too large temperature gradients have to be avoided since they lead to large thermal stresses which induce dislocation multiplication and subgrain-boundary formation in the hot crystal regions. The macroscopic rate of crystallization follows the movement of the growth isotherm if the atomic transfer rate at the growth interface can keep up with this movement. The atomic transfer limitations set in at growth rates of meters per second. At the usual rates of up to several centimeters per minute the growth rates are only limited by planar interface shape breakdown due to constitutional supercooling. The simplest way of shaping the crystal geometry is by using the Bridgman method. Problems may arise due to crucible contact with the triple phase boundary. The Czochralski-method avoids this problem by using crucible-free growth out of a melt meniscus. The shape of the meniscus is controlled by the Gauss-Laplace relation between hydrostatic pressure, gas pressure and surface tension due to meniscus curvature. By varying the superheating of the fluid the height of the growth interface changes with corresponding variations of the hydrostatic pressure. The chemical composition of the growing crystal (“stoichiometry“) is essentially fixed by the thermodynamic equilibrium conditions of the fluid and crystalline phases. This equilibrium is represented graphically by the phase diagram. 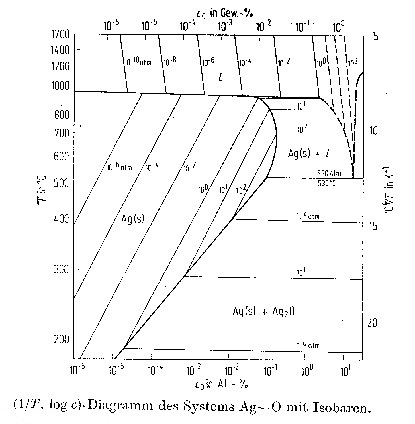 Detailed knowledge of the phase diagram is indispensable for the design of any growth process.Inhomogeneities may arise in closed systems in which the composition of the fluid and crystalline phase are different on a microscopic and a macroscopic scale (macro- and micro segregation phenomena). These problems can be avoided by generating a material feed reservoir with constant composition which is possible by using double crucible, floating liquid zone or hot-wall techniques. Microstructure control is the most difficult task of the crystal growth process. The average concentration and spatial distribution of point defects, of defect aggregates, of unwanted impurities, segregation of additional phases depend on phase relations and the time-temperature history of the crystal in a rather complicated way. Often, the only means of optimizing the microstructures is crystal annealing after growth. For the same crystal quality crystal growth can be cheap or expensive, depending on the degree of ingenuity of the crystal grower involved. Realistic evaluation of the quality requirements and experience and discipline of the crystal grower is essential in optimizing the costs of crystal growth. The future of whole companies depends on the choice of the least expensive way to generate crystals for the market. Research institutions may have been less careful in the past although the times of excessive spending for crystals of low quality which is especially true for those grown in orbiting laboratories are gone. The process of sample preparation is manyfold. It starts with the building plan of a material which is laid down graphically in the phase diagram. Fig. 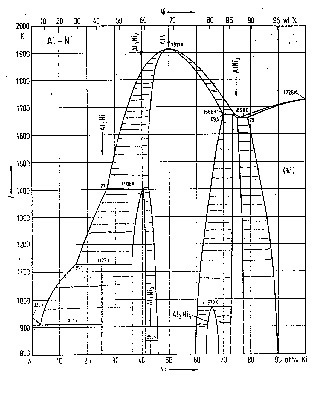 3-1 shows the phase diagram of the Al-Ni system as an example. Such diagrams can be used by those without basic knowledge of or not interested in thermodynamics. It is more difficult to understand solid-gas systems properly without thermodynamics. Fig. 3-2 presents various forms of the Ag-O phase diagram as an example. It is important nowadays for the technical development of high-temperature superconductors but also for many other silver-related materials. 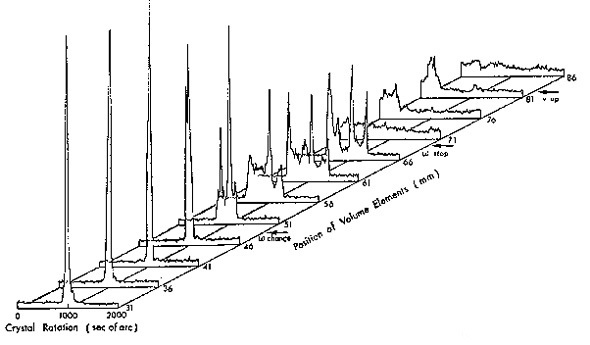 There are many compilations of phase diagrams available in the literature in books, computer compilations and in the internet. They have to be used with care. In most cases it is necessary to consult the original publication to get a feeling of the validity of a diagram. Fig. 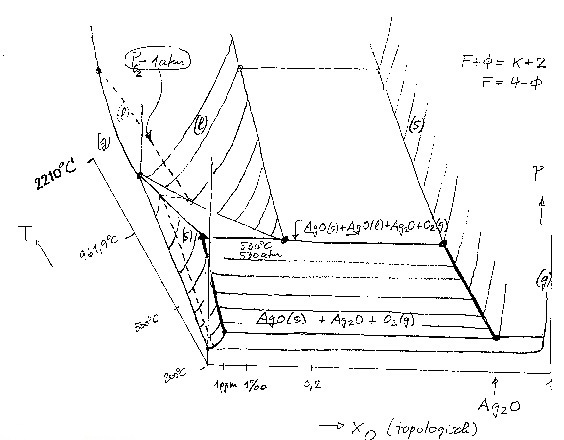 3-1, for example, wich has been published by renowned physical metallurgists contains errors on the Ni-rich side: Ni3Al is a peritectic phase which emerges from the liquid mixture during cooling on the Ni-rich side of the eutectic and not – as shown in the diagram – on the Al-rich side. In addition, there is an order disorder transformation in Ni3Al which has not been taken into account in drawing the diagram. Raw-material preparation. Production of pure materials, sometimes of isotopic purity. This is mostly done by companies specializing in purification. Synthesis of polycrystalline raw material with the proper chemical composition. Cold crucible techniques are quite useful for this step if hot inert crucibles cannot be found. Post-growth treatment, especially annealing treatment Fig. 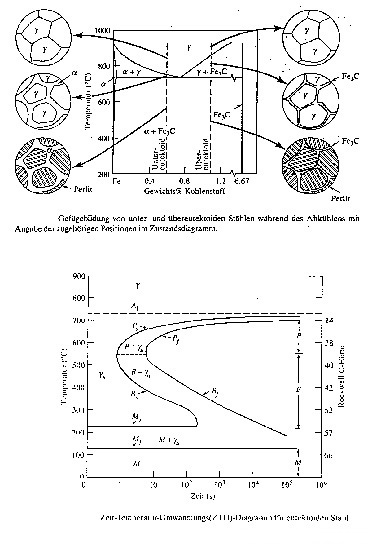 3-3 presents an example of the information required for this step in the form of time-temperature-transformation graphs which describe the kinetics of solid state reactions. Shaping of crystals by mechanical sawing, spark or electrical discharge erosion or chemical erosion. Proper use as resarch or construction material in technology and jewellery. Material and process characterizations are required in each step. Often, the shaping steps and the post-growth treatment are more difficult than the crystal growth process. Crystal quality depends on its use. Many users of crystals put down excessive quality requirements which often are not justified in view of the way the crystals are used in experiments or devices. The other extreme is not uncommon: the use of unqualified samples for sophisticated experiments. Quality assessments and quality definitions have to be adjusted properly to the user requirements to avoid expensive over or under ratings of the required quality. This problem can be solved only with the help of locally available crystal growth specialists. Therefore, crystal laboratories are indispensable for solid state research institutions even if part of the samples is purchased on the market. Raw materials of rather high purity are available on the market. Therefore, trace impurity content determination is usually not difficult except for light impurities like hydrogen, carbon and oxygen. High accuracy is not required. Precision stoichiometry analysis of majority components of non-monocomponent crystals belongs to the most difficult tasks of analytical chemistry because very high precision is required. Chemical analysis with high spatial resolution is a Sisyphos task. There is no tendency in sight of a saturation or decline of bulk crystal requirements in research and technology. Many crystals have not yet been grown because the proper compositions and seeds have not yet been detected. New materials emerge continuously. High-temperature superconductors and quasicrystals are two examples. Most regions of the crystal world are still unknown, even in the natural kingdom. The world of industrial crystals is characterized by an enormous market push for size and quality increase and cost decrease. There is no indication that work is running out for crystal growth laboratories and companies. Guglielmi 1688: Korrelation shae – chemical cpecies. 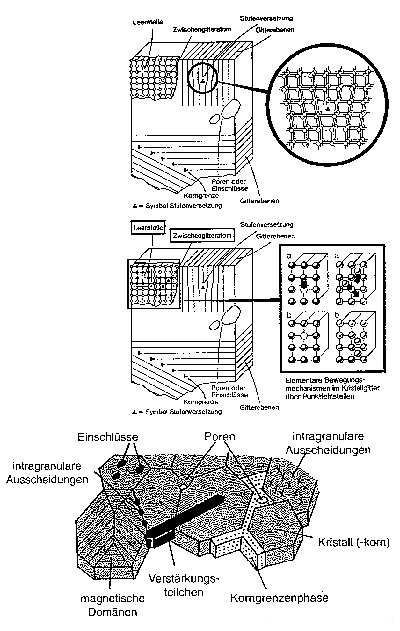 Kapitza: turns to horizontal Bridgman-method for crystals which expand during crystallisation. Handbook of Crystal Growth, North Holland, Amsterdam, 1993-1995. Several volumes covering all aspects of crystal growth. Indispensable! Kristallzuechtung, VEB Dt. Verlag der Wissenschaften, Berlin 1988. Detailed discussion of all aspects of crystal growth, bibliography!